The support groups of former Vice President Atiku Abubakar on Friday purchased for him the Peoples Democratic Party (PDP) Nomination and Expression of Interest Forms for the 2019 presidential election. 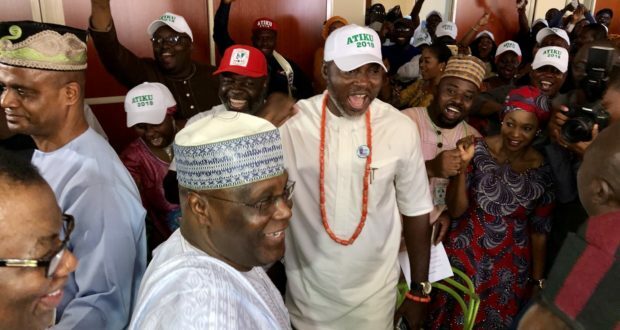 The group led by Adekemi-Adesanya Eboda, National President and Global Coordinator for Women and Youth Support for Atiku (WAYS) presented the forms to Abubakar at his campaign office in Abuja. The coordinator said they resolved to tax themselves to raise the funds for the forms as expression of their commitment to support Atiku in his presidential bid. Eboda said that Nigerians, especially women were looking up to Abubakar to rescue the country. “I speak the voice of millions of mothers in Nigeria who bear the brunt of the gale of jobs losses in the country. 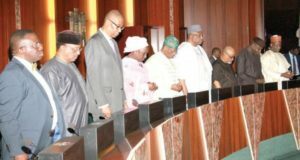 “I speak on behalf of women of this country urging you to rescue Nigeria from this current bad situation. “To show you that we are solidly behind you, we have chosen to purchase your nomination form and expression of interest form from the PDP to contest for president in 2019 and we shall give you all of our support,” she said. A leader of one of the groups, Edwin Adai on behalf of all the groups, presented the forms to Abubakar. Abubakar, who was emotional during the remarks, said that Eboda succeeded in making him to weep because her remarks reflected the situations of the country. “This is because she aptly described the challenges every Nigerian is facing in this country today and she believed honestly and sincerely from the bottom of her heart that I could be an instrument to addressing those challenges’’. 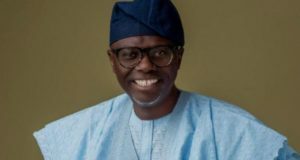 He commended the decision of the groups for buying him the forms saying that it was the first time in his political career that his supporters would show him such love. 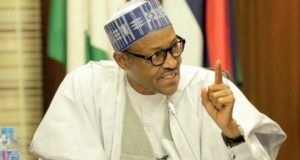 “I have been in politics for the past three decades and in those three decades I have only been on the ballot for the presidential election only once and that was in 2007. “But not once in those three decades have I received this much love from the people as you have done today by choosing to purchase nomination forms on my behalf. “By this action, there is a pact between you and me that we are going to do this work together. “Just as you gathered here together, we shall enter the race for the PDP nomination together and together also into the general election. “And by the grace of God and through your hard work, I believe that we are going to win together”, Abubakar said.